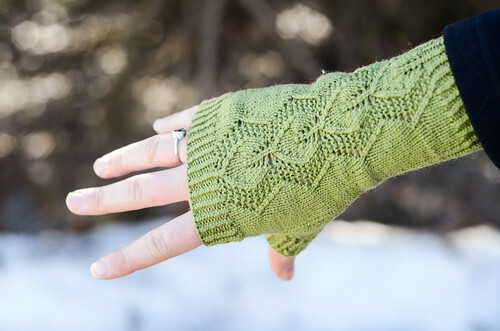 Last fall I finally finished these fingerless mitts that I started knitting for my sister's birthday the year before. I really like how they turned out. Yarn: Knitpicks Palette in "Edamame"
I would say that this pattern was intermediate. 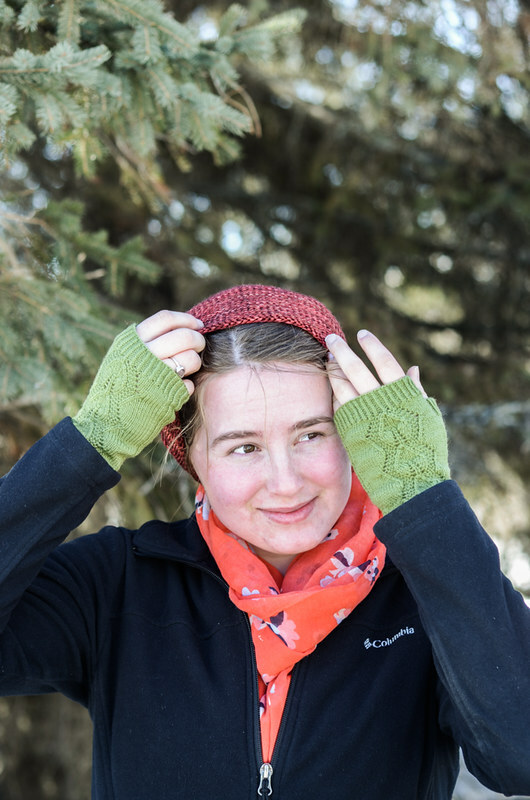 It's not particularly hard if you know how to knit in the round and pick up stitches for the thumb, but the yarn and needles are quite small and it takes a while to knit. Here's hoping that the warm weather is here to stay and Katelyn won't have to use these until the fall!